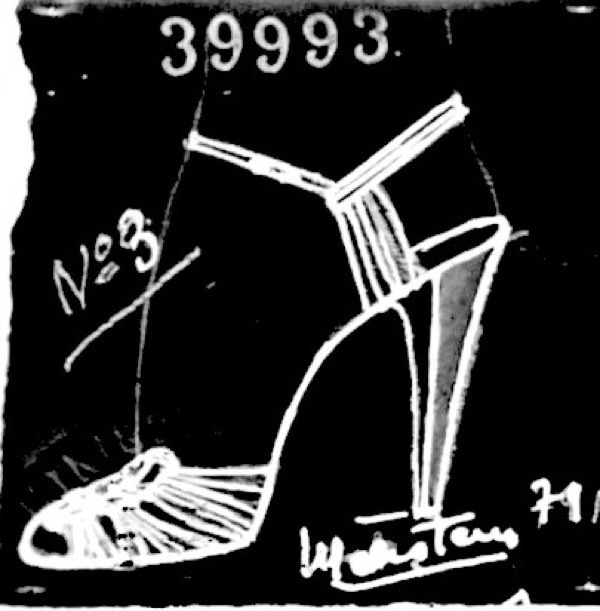 Hellstern was name-checked in the novels of both Nancy Mitford and F. Scott Fitzgerald and if a flapper had money to burn, this particular shoe emporium was where she would go to salivate over their silver kid slippers and blood-red suede bar shoes. Nancy Mitford and Francis Scott Fitzgerald? COOL! Only it's not true. On both counts, we checked. Now, why everyone would write such things? - too many pictures and not enough text? - crosschecking is waste of time? 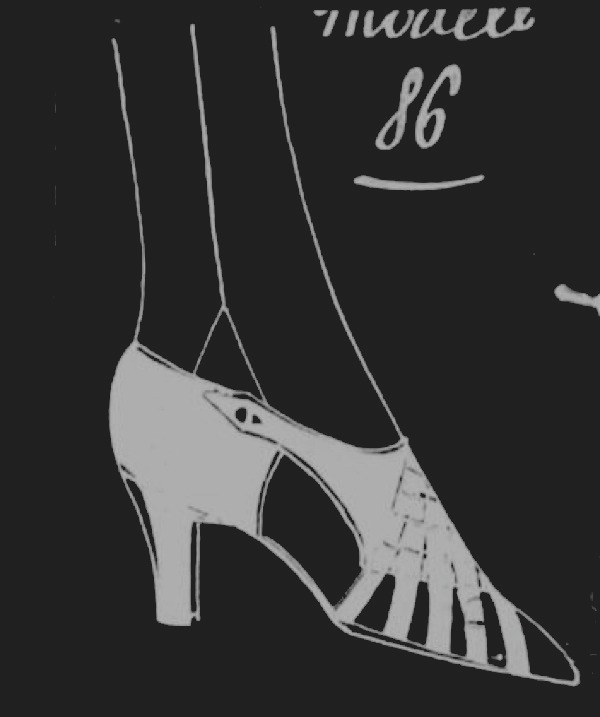 Their premises were in the Place Vendome and their clientele included society women, stage performers and royalty. They are mentioned in Proust's novel. A fit description for Hellstern & Sons, but it goes without saying that dear old Proust didn't mention them. Ever. You know the end is near if even museums fail you. 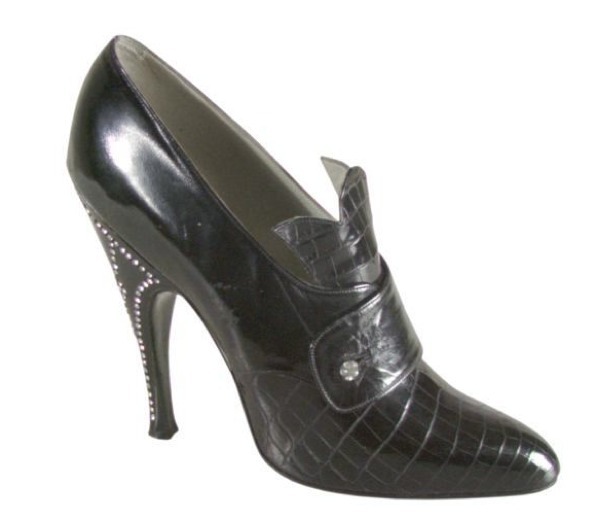 There are however a few novels that mention Hellstern and Sons like "The Shoe Queen" by Anna Davis (but they - the Hellstern shoes - are mentioned in passing as the queen shoes are Perugias); or "Man In A Hurry", a 1914 French classic by Paul Morand. I want new clothes & new ideas (in order named) & Hellstern shoes & perfumery & trick hats, & linge [underwear], not to mention the eve. dress & to sit hours with Léger & his friends in cafés, & haunt rue la Boétie, & see every good new play & all music if any, & be back here in about three days & eleven hrs. twenty-seven mins. . . . The Murphys were a wealthy couple of American expats in Paris whose circle of friends included John Dos Passos, Ferdinand Léger, Hemingway, Picasso (who even portrayed Sara Murphy - true story) and Francis Scott Fitzgerald who used a fictionalized portrait of the Murphys in the novel "Tender Is The Night". And that is the only link between Hellstern and Francis Scott Fitzgerald.